CVS Aloe Vera: Shouldn’t You be Able to Trust a Label? 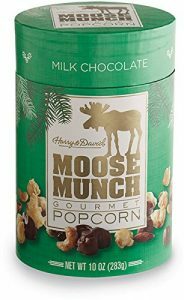 During the past few months there has been what one could call a “rash” of consumer fraud lawsuits filed concerning products that do not contain ingredients as advertised, and / or 100% of the ingredients advertised etc. 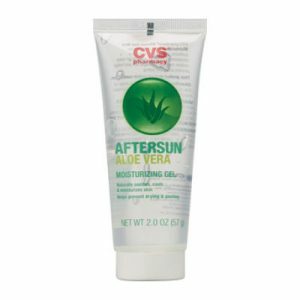 Case in point, last week CVS Health found itself on the end of a proposed consumer fraud class action lawsuit over allegations it falsely advertised the Aloe Vera content on its moisturizing gel. The issue, it seems, is that the CVS Aftersun Aloe Vera moisturizing gel does not contain 100 percent aloe vera, but does contain anti-freeze. Seriously. An allegedly non-toxic antifreeze, but antifreeze nevertheless. The lawsuit was filed by Patricia Bordenet, a customer in Illinois, who went out and had the product tested. So my question is, who does that? I have to admit it’s not the first thought that comes to mind when I’m in the drugstore—or any store for that matter—looking for a specific product to purchase. I trust the label. And, I’m guessing, therein lies the rub. Hats off to Bordenet for getting the product tested, because likely most of us would not have suspected the product to contain antifreeze. Admittedly, we might have our doubts about just how much Aloe Vera the product contains—everything has a shelf-life, after all—but even if enquiring minds wanted more information—would you have gone to the trouble of having the product tested? So much for taking things on face value. And face value is, presumably, what many companies depend on when they make the claims they do on their products, and god knows there have been some pretty outrageous ones. Take, for example, the Kardashian endorsed Waste Gang corsets. The packaging on that, according to the lawsuit, claimed that it would burn fat and help women achieve a smaller waist. Well, I can see you might sweat off the weight, under duress of wearing the product, but that’s not something you would want to advertise. The Waist Gang Society LLC (Society?) has to pony up a $5 million settlement for not telling it like it is—which is that the corsets redistribute the fat—not “burn fat and control the user’s weight,” Oh, if it was only that easy! Sign me up! Back to the antifreeze. The other, more serious consideration with failure to disclose all the contents of a product—particularly a product that is either applied to the body or ingested, is that people using it may suffer an allergic reaction—or worse—as a result of exposure to that product. There you are in the ER with no idea how or why you got there. That’s helpful. And likely not something that was thought through when the labeling or advertising was developed. Giving the benefit of the doubt here. And now we find ourselves at the precipice of the Slippery Slope. Because giving the benefit of the doubt is not always such a good idea, as is evidenced by a slew of drug injury settlements—most recently one for $70 million involving a young man who grew breasts as a result of using Risperdal. The jury found that the maker of the drug, Janssen, knowingly concealed information about the side effects of gynecomastia. But I digress. Well, no, I just went down the Slippery Slope. So enough. Enough of the exaggerated claims, enough of the lies, why not just make a safe product that is what it claims to be? While that may be an altruistic notion, does that necessarily make it difficult? If it is too difficult—then off to court you go. Does Colgate Optic White Really Make Teeth Whiter? How white is white? Now there’s a burning question—one I’m sure has kept people awake for decades. And it is now set to be an issue, possibly the central issue, in a consumer fraud case recently filed against Colgate. Colgate Palmolive, allegedly, has been making claims that its optic white platinum toothpaste “Goes beyond surface stain removal to deeply whiten” teeth. And, as if that weren’t enough, the toothpaste also “Deeply whitens more than three shades.” Three shades? More like 50 shades (of grey area). And just to be technical as we’re on the subject—a shade can refer to the darkening of a color—so I would think that “shades of white” may not actually be the precise meaning Colgate had in mind—but who knows. In any event, color theory aside, Lori Canale isn’t happy with any of the shades of white she has allegedly failed to manifest using said toothpaste. So she’s filed a class action. But I’m betting this won’t be an easy one. Aside from the difficulty in defining the extremely vague claim “three shades of white”, Canale alleges in the Colgate Optic White Toothpaste lawsuit that the toothpaste isn’t up to the job no matter what your definition—because it is 1 percent hydrogen peroxide, which is not a large enough amount of hydrogen peroxide to do the job. Further, the product is not in contact with teeth for a long enough time to do what the company claims it does. So, what’s needed is more H2O2 and more time? But then how much is too much? Too much would almost certainly end up a lawsuit as well. But we’re still back to the central question—just what “shades of white” are at issue here? A trip to the nearest house paint section at your local DIY store is enough to clearly make this point. Are we talking Cloud white, Duck white, Titanium white, warm white, cool white, off white, gray white, bright white—and then there are decorator whites—you know – Lily white, Whisp white, Honeycomb white, Great white (? ), China white, Cotton white—should I go on? OMG. And we haven’t even touched on lighting! Think black lights—cast your mind back to your best friend’s 1970’s bedroom (at the risk of dating myself) that harboured the secret “black light”. Wow—turn that baby on and in addition to lighting up all the Who and Led Zeppelin posters—you could blind everyone in the room if you smiled. Light is very important. There’s another shade—Dazzling white—or maybe Knock-out white. One thing is certain–no one seems to want yellow—and grey is definitely out. But I’m not sure how one would prove that three shades of white is not achievable with this toothpaste—as no baseline has even been established. What color are you starting with—or should we use the term shade? Or tint? And is there such a thing as too white? Not to mention, the name “Optic”—meaning “of or relating to the eye or vision”—makes this kind of an “eye of the beholder” situation, no? So it’s probably off to a lab somewhere that this lawsuit will be heading as there’s just too much variability in everyone’s teeth and every possible shade of white. This whole lawsuit takes me back to a dinner I was at once. I was sitting across the table from a news anchorwoman. And the entire time I couldn’t take my eyes of her teeth. I didn’t hear a word she said, and I have no idea how I got through the conversation, because all I could see were her teeth—and all I could think was “who has teeth that white?” I couldn’t tell you what shade of white her teeth were. And—important point—we were in restaurant lighting. Think bistro—dinner—soft lighting. I’m sure this is a very vexing problem. Who doesn’t want white teeth? But perhaps the most important thing is that you have teeth. After that—it’s all gravy—brown gravy. Just don’t forget to brush! We’ll be keeping an eye on this one—it’s US District Court for the Southern District of New York Case number 7:16-CV-03308-CS. Attorneys behaving badly—or is it a case of consumer fraud?—or maybe it’s all fiction to begin with. Whatever it may be, it’s certainly an interesting twist on the client-attorney relationship. 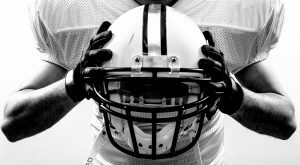 Remember the massive concussion lawsuit filed by former National Football League (NFL) footballers against the league—which recently resulted in a massive $1 billion settlement? Well, the players are now suing their attorneys over liens placed or intended to be placed on the players’ individual cuts of the settlement. Wow. What happened to sending an invoice? The backstory—short version—in April the $1 billion settlement was upheld against the NFL. Approved by the 3rd U.S. Circuit Court of Appeals, the revised settlement deal will resolve thousands of lawsuits brought against the league, as well as covering over 20,000 retired NFL players for the next 65 years. According to estimates by the NFL, 6,000 former players, or nearly three in 10, could develop Alzheimer’s disease or moderate dementia. In the lawsuit filed by Gale Sayers, Lem Barney, Thomas Skladany, Thomas Vaughn, Jerry Rush, Kenneth Callicutt and Eric Hipple, (FYI—Sayers and Barney are members of the Pro Football Hall of Fame) against their former attorneys, Hausfeld; Zimmerman Reed; Locks Law Firm; Bondurant Mixson & Elmore; and Pope McGlamry, the plaintiffs have asked the court to rule that their former law firms not be entitled to liens on the players’ recovery. The players claim they terminated their respective firms’ handling of their individual cases because they weren’t happy with the representation they were receiving. Here’s the possible consumer fraud angle—not getting the goods as advertised. But how do you measure that? According to the lawsuit, “Defendant law firms’ efforts on ­plaintiffs’ cases have been expended exclusively in furtherance of the NFL concussion class action litigation for which some of defendant law firms will be richly compensated.” …”But, based on information and belief, defendant law firms have made no substantive efforts in furtherance of plaintiffs’ ­individual monetary award claims under the settlement agreement, which is why plaintiffs ­terminated the relationships with the defendant firms.” In plain English—their eyes were on the big payday. Not exactly surprising. No word from the other law firms as of yet. Don’t know if anyone will make an end-run on this one. Remember the tooth fairy? When you lose a tooth, if you put it under your pillow, a fairy will come in the night and replace your tooth with some money—you remember, right? Well, apparently, if you want bigger breasts, there’s a cream that you can use that will make them larger and firmer. And then all your problems will go away. If it doesn’t work—you can file a consumer fraud lawsuit and make more money than you spent buying the dodgy product in the first place. Note—if you got a nickel from the tooth fairy and she was a no show—there was no such recourse. But hey—times have changed. US-based Talika is being sued by a women who claims the company’s breast enhancing cream did not live up to its advertising claims, and as a result, she wasted $60. Really? Raisbel Pena who lives in the Bronx, not that that should have anything to do with her decision-making process, has filed a lawsuit in Manhattan against Talika—the maker of Bust Serum 2.0 for $5 million (that’s some exchange rate—spend $60 get $5M…) claiming that in her month and a half of use (I’m presuming she would have followed the instructions religiously) she did not see any progress. So, she’s suing for damages alleging she could have purchased a less expensive bust serum. No comment. It’s false advertising and unfair trading—business as usual. According to Pena’s lawsuit, Talika’s “misleading marketing campaign begins with its “deceptive product claim” that after six weeks of use breasts will grow a cup size and also experience “push up effect” and be 70 percent firmer. Ok—who’s on drugs here? Think about it, there’s a reason plastic surgeons live well. According to Pena, she bought the product in 2014 and used it for long enough that she should have noticed the promised results, that is, if the cream did what the advertising claimed it could do, regardless of how well you followed the instructions. In any event, not surprisingly, Talika USA has yet to respond to the lawsuit.